Indiana Forklift Leasing & Financing | Tynan Equipment Co.
Equipment Leasing & Financing: We Provide Solutions. Whether you need to buy, lease, or rent your material handling equipment; Turn To Tynan for the financing solution that meets your business plans, needs, and budget. We offer flexible finance and leasing options that allow you to focus on your operations. We are experts in the field of Equipment Financing and Partner with the biggest names in the industry. Should I Rent My Equipment? With Short and Long-Term Rental options Tynan can provide the flexibility for your equipment needs and a term tailored to your operation. Control your fixed cost and maximize your equipment uptime without a major capital investment. 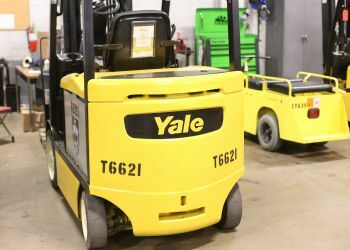 Tynan has one of the largest Fleets of Rental Equipment in the State of Indiana and nobody does it better.